ExifCleaner Portable is a tool designed by SuperUtils.com Software. 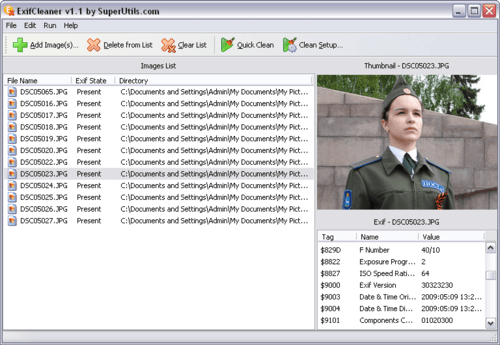 Released in 2010, this application provides the ability to remove Exif tags. Exif Cleaner Portable is a tool that has the ability to protect sensitive information about image. Simple and easy to use, this application has the ability to remove Meta information to save disk space and server bandwidth. 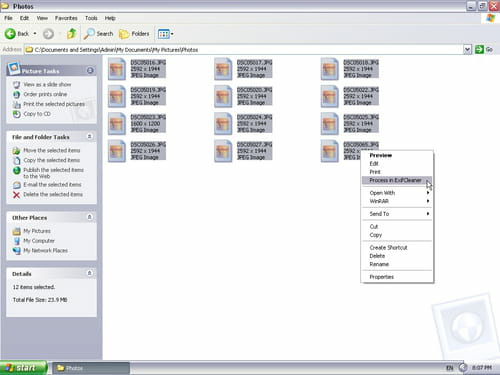 This application has the ability to work in batch mode. Latest update on November 20, 2016 at 06:36 PM.